Q&A with R&A - Should I pay off my mortgage? 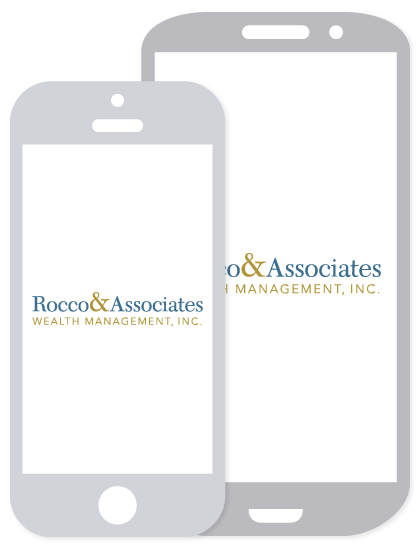 | Rocco & Associates Wealth Management, Inc.
Q&A with R&A - Should I pay off my mortgage? Just about every client of ours who owns a home has asked us this at one point or another – Should I pay off my mortgage? While there is no golden rule that will get us to an answer on this question, we generally review three factors with our clients when putting together an answer. Where else could the money be going? Not too long ago, we had a client who was approaching retirement, but he really wanted to make sure his mortgage was paid off first. In fact, he wanted to pay his mortgage off so badly that he had stopped contributing to his retirement accounts, drained his cash reserve, and put every dollar he had left over towards the debt. This, we do not recommend. Like all things, the decision to make extra mortgage payments should not be made in isolation. The decision needs to be part of a comprehensive financial plan. This client was not only giving up tax benefits by not continuing to save for retirement, but he was losing out on his company match. Additionally, should an emergency occurred that required liquid funds, the client would have had to take equity back out of his home or draw down on his retirement accounts and pay income tax. If you refinanced in the past 5 to 7 years, there is a good chance that you have one of the lowest mortgage rates ever. In fact, we are just starting to see rising rates after the longest downward cycle in history. That said, having low interest bearing debt can actually be “smart debt.” Every dollar you save has a return associated with it. If you invest in the markets your returns can be high, the S&P 500 has returned 9.8% on average for the past 90 years. Other investments, like cash these days, has almost a 0% return. What most people fail to realize is that paying down debt also provides a return. If you put $100 towards your credit card that has an interest rate of 24% has a return of 24% - you will owe less interest in the future. So, if your mortgage rate today is 3% or 4%, you may be better off investing the money elsewhere where you can get a return above 3% to 4%. We often say in meetings with our clients that there is an emotional answer and a financial answer to every problem. The last two points have been financial answers, but in reality, the emotional answer is just as important. If your mortgage payments are keeping you up at night, then putting extra money towards the mortgage may not be a bad idea. Financial Planning is all about helping you make financial decisions now that will benefit your life in the future. However, like most things in life, it is a balancing act. If you can still save and keep your future goals on track, than why not put a little extra towards the mortgage today so you can get a few more hours of sleep? If you or your friends and family are wrestling with the question – “Should I pay off my mortgage?” we are here to help. This is something that we regularly model into our client’s financial plans and can illustrate just how each decision impacts your overall financial situation.